Offering furnace repair, air conditioning repair, heating and cooling system sales and service, and more to Georgia & Alabama areas. 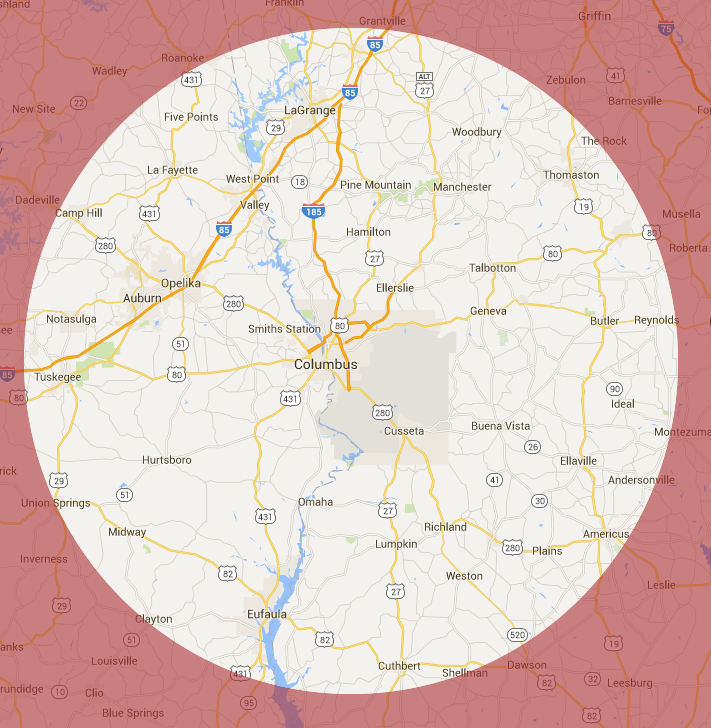 We serve a radius from Columbus, Georgia of approximately 50 miles. Our primary service areas throughout Georgia and Alabama include Columbus, Cataula, Hamilton, Waverly Hall, Pine Mountain, Ellerslie, Cusseta, Fort Benning, Buena Vista, Phenix City, Opelika, Hurtsboro, Hatchechubbee, Fort Mitchell, and Valley.